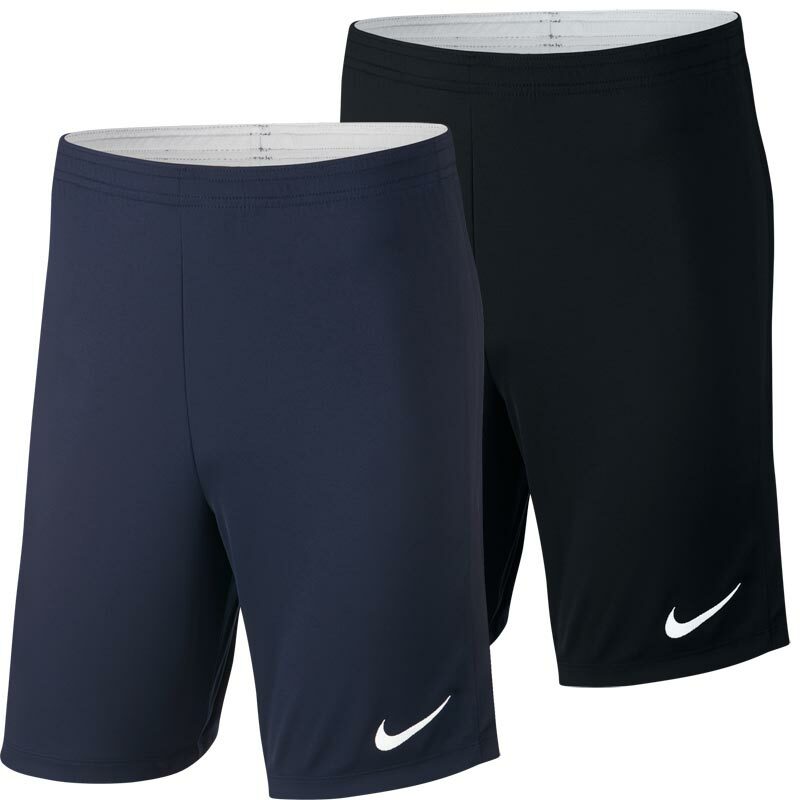 Nike ® Academy 18 Dri Fit Knit Senior Shorts are made with Nike Dry fabric for optimal sweat-wicking comfort in a design that features an adjustable waistband so your fit is secured for high-speed play. Anticipated availability for the Nike ® Academy 18 Dri Fit Short: January 2018 to end December 2020. Elastic waistband with drawcord for an adjustable fit. Inseam is designed to hit just above the knee. Simply measure your waist at the narrowest part. Try to keep your tape measure level. XS/Boys 23-24 59.5-61.5 68.5-71 122-128 6-7 YEARS 52cm/20.5"
S/Boys 24-25 61.5-65 71-74.5 128-137 8-9 YEARS 56cm/22"
M/Boys 25-27 65-69 74.5-79.5 137-147 10-11 YEARS 58cm/22.75"
L/Boys 27-28 69-72.5 79.5-84.5 147-158 12-13 YEARS 62cm/24.5"
XL/Boys 28-30 72.5-75.5 84.5-89.5 158-170 14-15 YEARS 66cm/26"
Small 29-32 73-81 88-96 82.5 72cm/28.25"
Medium 32-35 81-89 96-104 83 74.5cm/29.25"
Large 35-38 89-97 104-112 83.5 75cm/29.5"
X/Large 38-43 97-109 112-120 84 76cm/30"